Consider Framingham lawn care services by the professionals at Clean Slate Landscape & Property Management, LLC. Since 2000, Clean Slate Landscape & Property Management, LLC has been providing lawn care to Framingham, Massachusetts homes and businesses. From maintaining lush, green lawns to keeping Framingham lawns free of twigs and leaves, Clean Slate Landscape & Property Management, LLC is ready to tackle the job. When you choose Framingham lawn care company Clean Slate Landscape & Property Management, LLC, you are selecting a Framingham lawn care provider which exhibits the utmost professionalism. 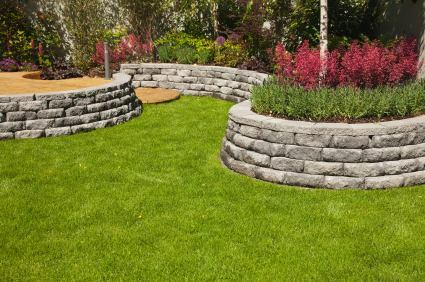 As the staff of Clean Slate Landscape & Property Management, LLC tends to your gardens, lawn and surrounding property, we provide high quality personalized care and show great attention to detail with every job we perform. Whether we are mowing or pruning, edging or fertilizing in Framingham MA, Clean Slate Landscape & Property Management, LLC performs the job quickly and expertly. Clean Slate Landscape & Property Management, LLC also offers flexible hours to Framingham lawn care clients. We sit down with Framingham lawn care customers to determine what schedule is best for them. Should you want us to tend to your lawn and garden in the mornings, we can do that. If the late afternoon is better for you, well then we can accommodate this need as well. Framingham lawn care by Clean Slate Landscape & Property Management, LLC is affordable. Our mowing services, edging jobs and other landscaping services are competitively priced and superior quality all the way around. Clean Slate Landscape & Property Management, LLC offers Framingham MA businesses and homes the lawn care solutions you seek. Contact us today at (508) 669-7959 and let us give you a free consultation so that you can see just how Clean Slate Landscape & Property Management, LLC can meet your Framingham lawn care needs.